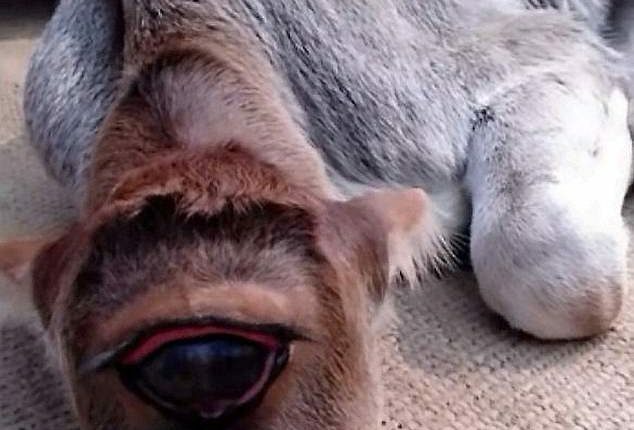 As seen in a video a newborn calf with just one eye is being worshiped as a god in the Bardhaman district of West Bengal. The deficiency can be due to a birth defect. 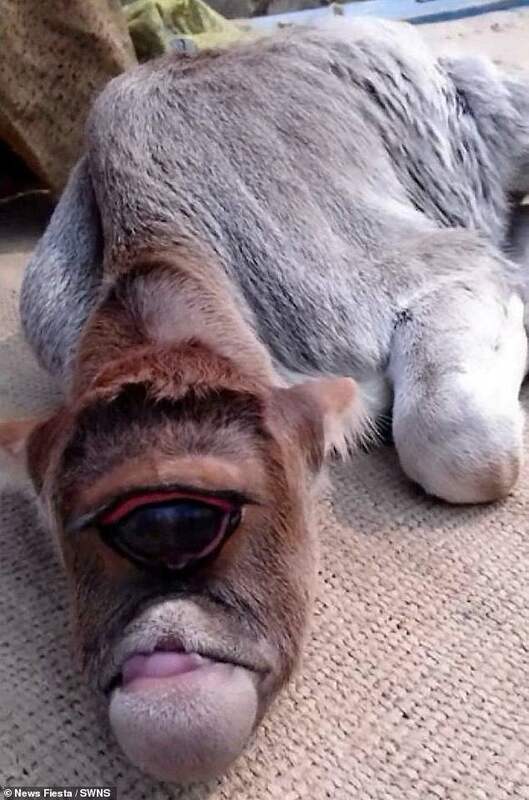 If we are guessing right the said calf has cyclopia, a rare congenital disorder. In such cases normally the animal is either stillborn or die shortly after birth. However, nothing like this happened in this case. Perhaps that was the reason the locals started to worship it. As per reports they believe that worshipping such a rare cow is going to bring luck and prosperity to their families. As the video suggests the calf has just a single large eye and no nose. As per reports the animal was rejected by its mother and so the locals started nourishing it for good luck. In the video we can see that the calf gasping for breath. Cyclopia develops in the womb when the left and right hemispheres of the brain do not separate as they are meant to early on in pregnancy. This leads to the formation of a single central cavity with one eye. Yet, belief has nothing to do with science. It is a feeling which a human can develop at its own. And perhaps that is why people have accepted it as a miracle of God and worshipping it.